Mason is finally old enough to sit at the table. Well, not entirely, but with some supervision. 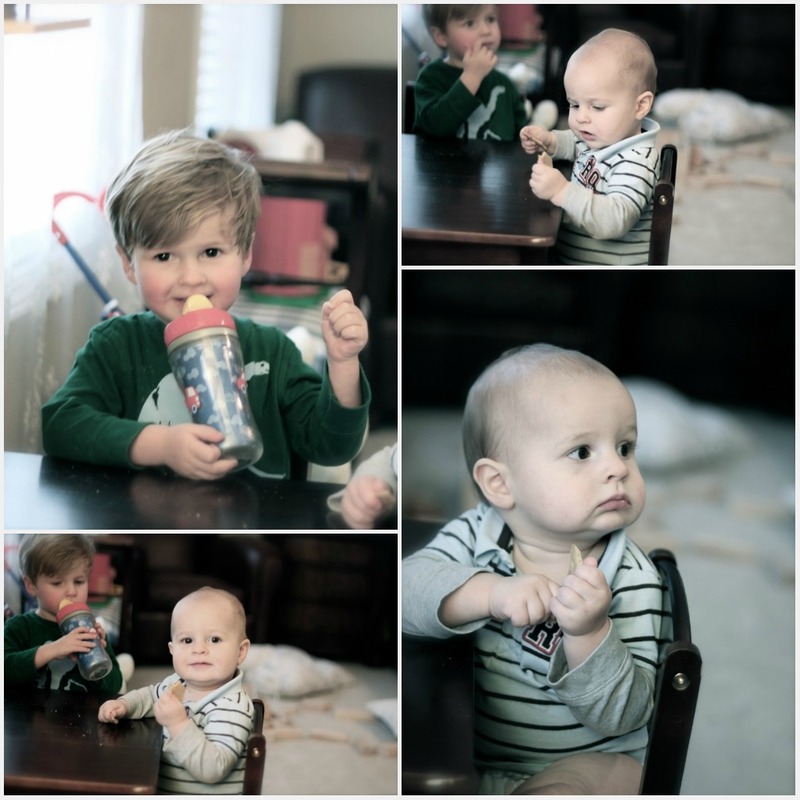 He’s been having a regular snack time with Parker lately since he’s dropped bottles during the day, and switched to the sippy cup. 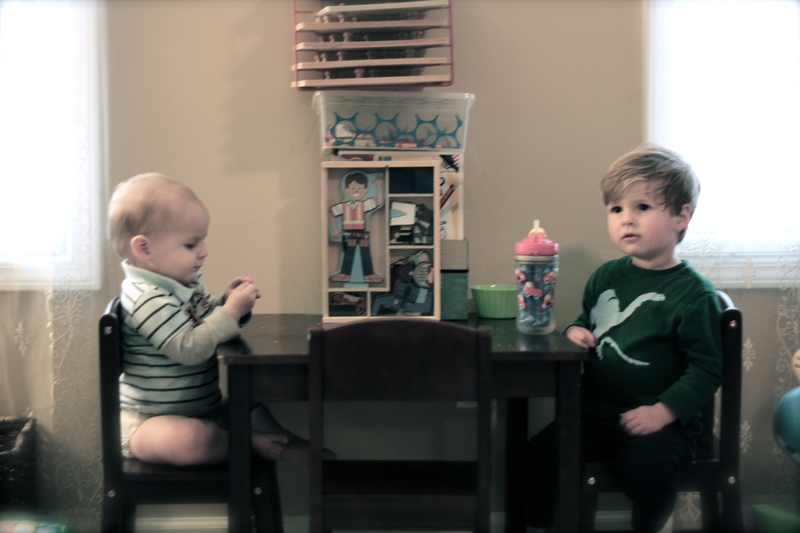 He loves feeling like a big boy hanging out with his brother at the big kid table!